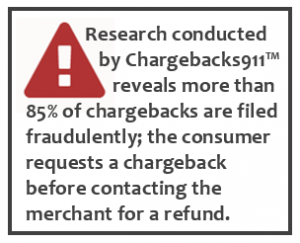 Fraud is one of the most common reasons cardholders employ to file a chargeback. But within the context of true fraud, resides another form of deceit called friendly fraud. The item was not delivered. The item was not as described or was defective. The original transaction was not authorised. A recurring transaction was not cancelled as requested. The cardholder’s original intention was to get something free. A family member made the purchase, but the primary cardholder didn’t want to honour the charges. The cardholder didn’t recognise the charge or forgot about making the purchase. There are several reasons consumers are able to successfully execute fraudulent chargebacks. Consumers can make false claims to dispute a valid transaction. Banks assign reason codes based on the information the consumer provides. Many merchants simply accept the assigned reason code as truth. Unless merchants are able to detect the actual cause of the chargeback (which is friendly fraud), they will continue implementing inefficient prevention tactics. Additionally, merchants don't usually fight friendly fraud because they don't recognise it. Friendly fraud is perpetrated by seemingly satisfied customers. Merchants don't realise their customers are engaging in behaviour that is dishonest. If merchants do not recognise and dispute friendly fraud, a significant amount of money is unnecessarily lost because these illegitimate chargebacks are not challenged. The Chargeback Company uses a proprietary technology called Intelligent Source Detection™ to determine the true rationale behind the reason code. This helps merchants detect, prevent, and dispute chargeback fraud. If you'd like to learn more about ISD and how it can improve your bottom line, let us know. There aren't sufficient technologies available to detect legitimate fraud. Everyone knows criminal fraud (or card fraud) runs rampant. Unauthorised transactions are everywhere. Consumers know this and use it to their advantage. Filing a fraudulent chargeback based on the claim of an unauthorised transaction is relatively easy. Banks are eager to protect their customers and offer instant restitution to their patrons. ECommerce is an easy target for criminals because there aren't sufficient technologies available to detect the criminal activity. Until merchants are able to successfully prevent criminal fraud, there isn't an adequate way to deter friendly fraudsters who claim unauthorised transactions. Chargebacks are a no-hassle solution. A recent study found 81% of cardholders have filed a chargeback out of convenience; they simply didn't have time to contact the merchant for a refund. In today's busy society, consumers naturally gravitate towards the easiest and fastest option available. Chargeback regulations haven't been updated. Chargeback regulations were established in a pre-internet era. They aren't able to accommodate the fast-paced, evolving, technology-driven marketplace. Purchasing options, technologies, and fraud tactics are constantly changing, but chargeback processing regulations have not evolved at a consistent pace. The imbalance between stagnant chargeback processes and innovative sales tactics is growing and will continue to do so if changes aren’t made to the payment industry. Strategies of the past, no matter how effective they were, aren’t able to address problems of the future. Due diligence performed by the bank. Like any other business, banks are interested in appeasing their customers. When cardholders file a chargeback, banks operate under the assumption the customer is always right. Without the appropriate due diligence on cardholder claims, fraudsters are flourishing and merchants are unfairly penalised. Successfully managing chargeback fraud is a difficult task. It demands significant resources, mainly time (and therefore, money). Many merchants aren't willing to sacrifice the necessary resources to successfully manage chargeback fraud and assume friendly fraud is an unfortunate part of business. However, failing to fight back can have severe, long-term repercussions. Risk mitigation is always important, but the task of reducing fraud becomes an absolute necessity when businesses sustain losses from their own customers. 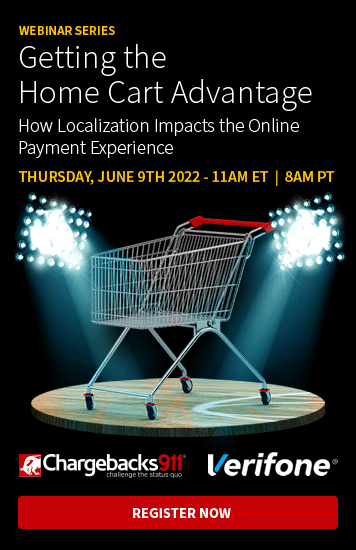 A careful evaluation of current business practices will reveal several ways merchants can start to close the gaps that are causing revenue losses. Fighting chargeback fraud is an absolute necessity. Not only does representment recover revenue merchants never should have lost, it also helps perpetuate industry-wide change. 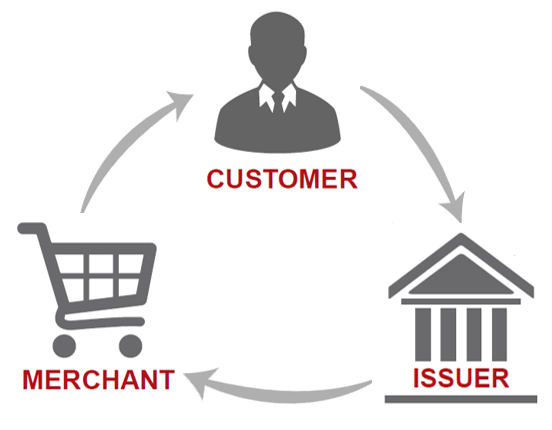 There is a vicious cycle that occurs between the cardholder, bank and merchant. Each attempt to reverse an illegitimate chargeback helps break that cycle. Merchants don’t appeal cases because they assume chargebacks are just a cost of doing business. Representment does more than just change the payments industry, it also changes the bank’s opinion of the merchant. Each chargeback filed against a merchant implies guilt before innocence. If merchants don’t fight back against illegitimately filed chargebacks, that guilt is solidified. Issuing banks assume innocent merchants would try to defend themselves; inaction is could be perceived as guilt. The issuing bank may recall that behaviour if there is another dispute against the same merchant. More chargebacks may follow with less due diligence because of the merchant’s damaged reputation. 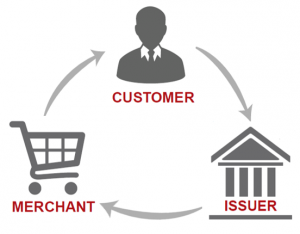 It is essential for merchants to fight 100% of their friendly fraud chargebacks. This seems to defy logic as merchants typically would take the cost of representment into consideration. If the merchant will lose money disputing a chargeback, why bother? Traditional business logic doesn’t apply to friendly fraud management. The bank doesn’t see representment as a cost vs. benefit analysis; to the bank, it is an issue of guilt vs. innocence. If the merchant only disputes chargebacks in occasional situations, the merchant is only occasionally innocent. 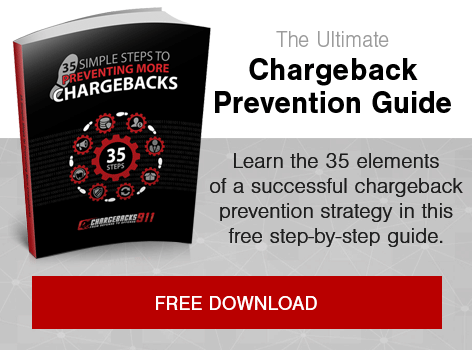 If merchants have created a strong foundation of chargeback prevention and business best practices, they can challenge chargebacks with confidence. Merchants know they are in the right. Chargeback fraud is cyber shoplifting. Don't let consumers steal from your business. Fight back! The technology and capabilities do exist to successfully refute chargeback fraud. There are solutions available, and they can be a critical tool for fighting fraud. The widespread popularity of the internet has brought about an increase in card-not-present transactions. A study from 2016 reports that in the UK, an estimated £261.5 million of eCommerce fraud took place in 2015. This equates to 12.4p for every £100 spent. The effects of friendly fraud are felt throughout the industry. Friendly fraud is a byproduct of digital entitlement. Chargebacks have become an easy solution with instant gratification. Until businesses start standing up for their rights, the fraudsters will continue to steal profits from merchants. Take action now. Be part of the merchant-led movement that is forcing banks and consumers to take notice of the friendly fraud epidemic. Fight back! We are happy to help!